My Monday has been a most unproductive day. Laundry has gone undone, dishes have been ignored. Heck, I haven’t even showered yet! I blame it all on the British Open. Normally it would have been over and done with yesterday, but rain delays messed with the schedule. The final groups should be finishing their rounds soon, so I might be able to at least shower and make the bed before Studly Doright gets home from work this afternoon. Except, the leaders’ scores are tight and there is a very real danger of a playoff! Thank goodness Studly is a golfer and won’t think ill of me for watching the Open all day. In fact, he’ll probably high five me. 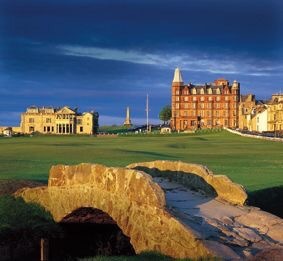 The Swilcan Burn Bridge is perhaps the most famous of golf icons. 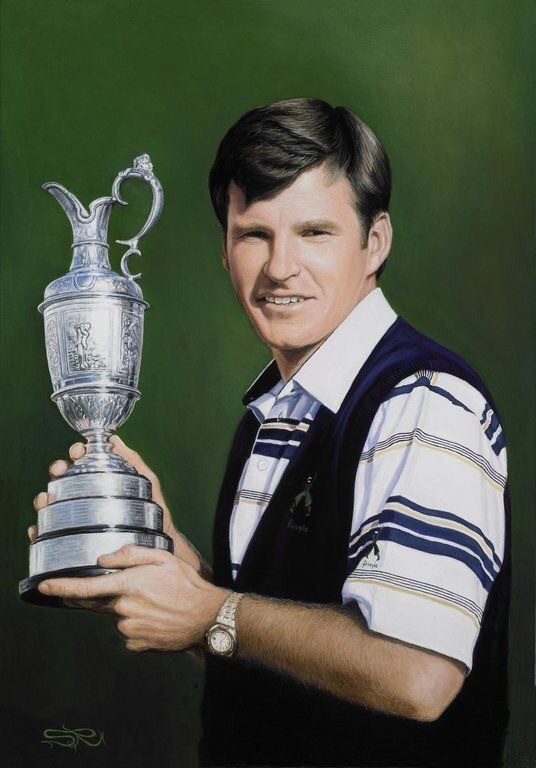 One of my favorite winners of the British Open, Nick Faldo poses with the claret jug.